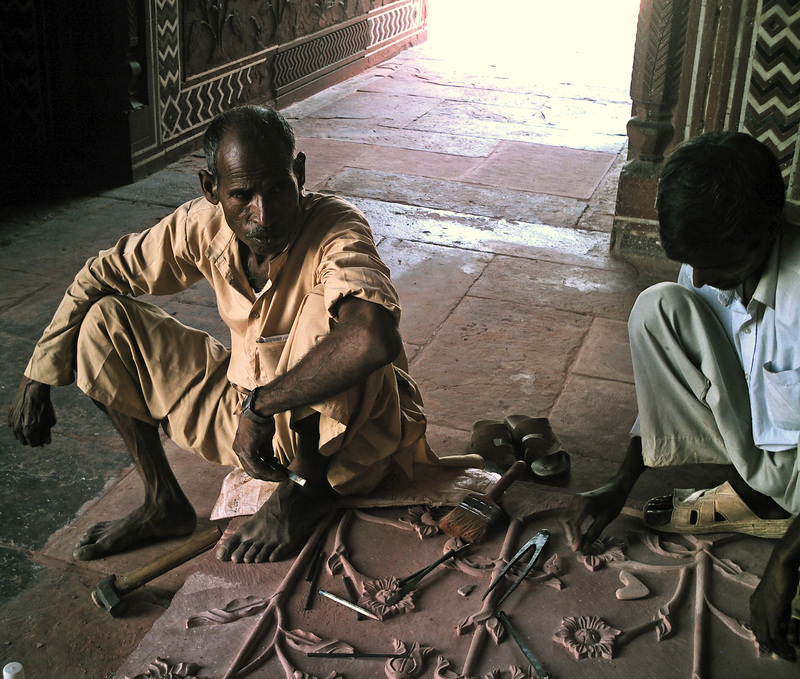 These are artisans working at an artwork in the Taj Mahal, Agra. 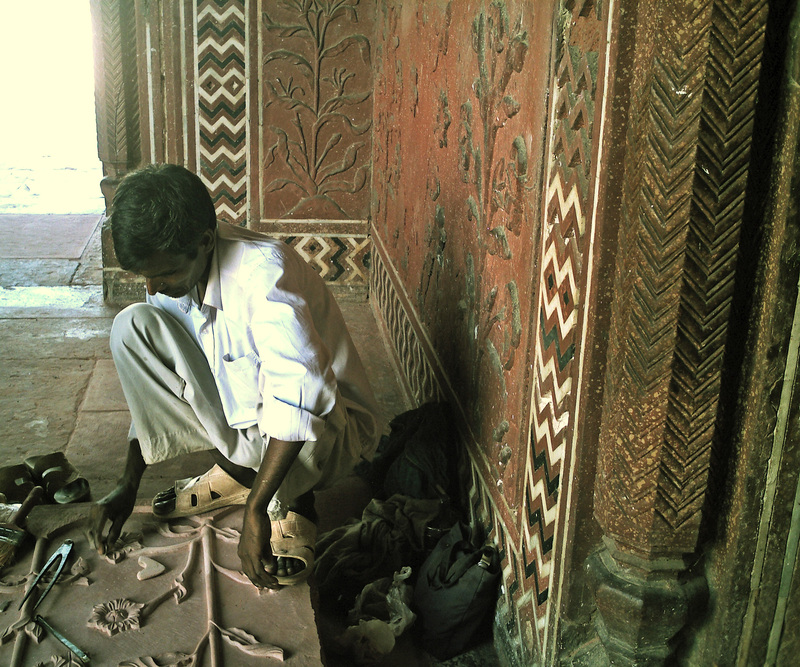 They are probably copying an existing artwork from the walls of the tomb. You can see the elaborate carvings around. Although the colours in these pictures are not very good, the picture clarity is good. You will be able to see the detail. Here you can see the design on the walls more clearly. It does look like the artist is creating an imitation. Beautiful design adorn the walls of the Taj Mahal. 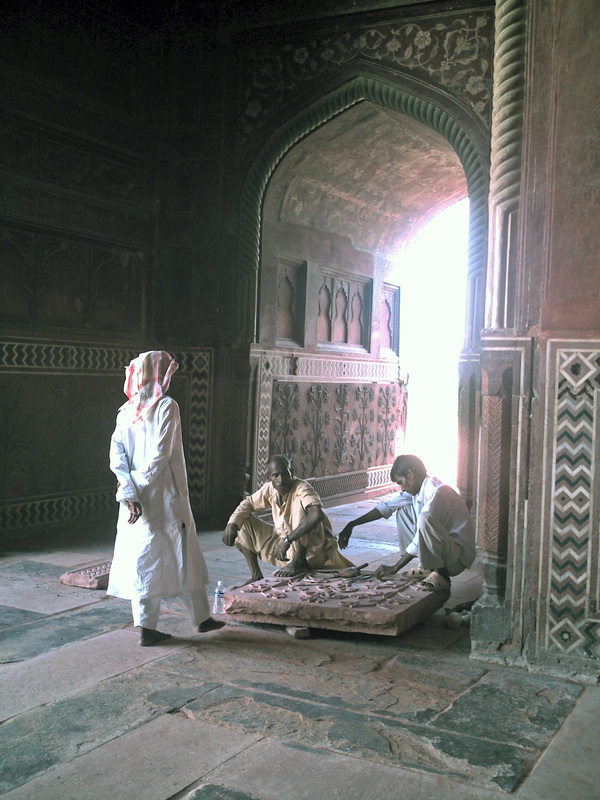 A post on Taj Mahal designs is in the pipeline.